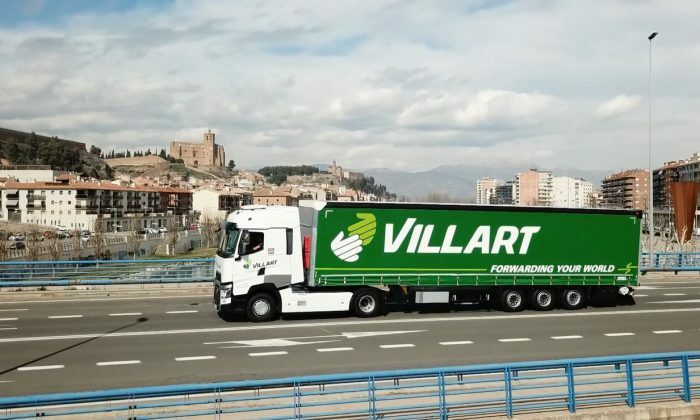 Villart Logistic, founded in 2001, has been growing progressively offering a service increasingly broad, characterized by quality and professionalism. 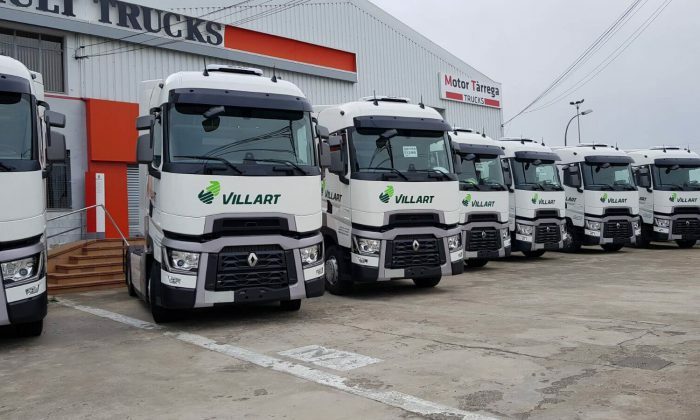 Currently Villart Logistic has a fleet of more than 180 trucks mainly composed of Renault Trucks Euro 6, and where canvas trailers, trailers with mega canvas and refrigerated trailers are included to guarantee an integral service. With 5 branches in Barcelona, Tarragona, Valencia, Zaragoza and Almería, it offers coverage throughout the national territory and global solutions for international logistics. 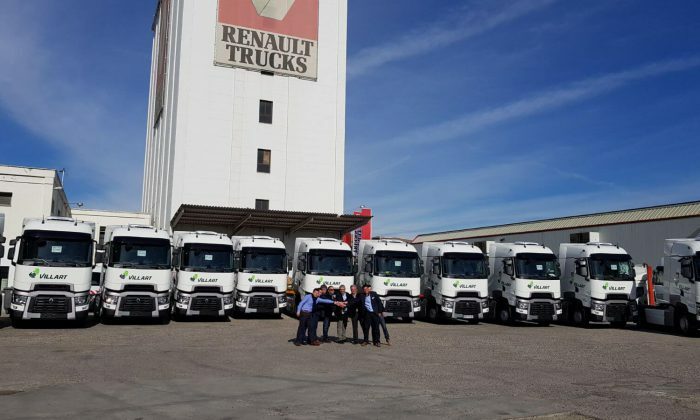 The acquisition of the 13 units was made through Motor Tarrega Trucks, Renault Trucks dealer for the provinces of Lleida, Girona and part of Barcelona. It treats of tractors T 520 HIGHCAB with engine 13 liters configured specifically for routes of long route, with flat floor and two bunk beds. These units have been equipped with the Fuel Eco + pack, which guarantees a better optimization of resources by combining Eco Cruise Control, Optiroll, inhibited power mode, disengageable air compressor, variable flow direction pump and automatic motor stop. It also includes the Optivision predictive driving system, which adapts acceleration, speed and gear change according to the prediction of the terrain by GPS. Finally, these units are also equipped with the Renault Trucks Optifleet system, the fleet control system with GPS tracking that provides constant information about the vehicles.